The snow was lovely, but getting around was treacherous and I love watching the frenzied activities of birds on a snowy day. 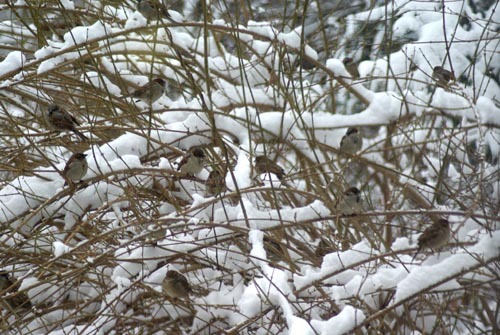 Here the trusty forsythia bush provides approriate cover for at least 10 sparrows, perhaps more; they are hard to see when you stop the action. 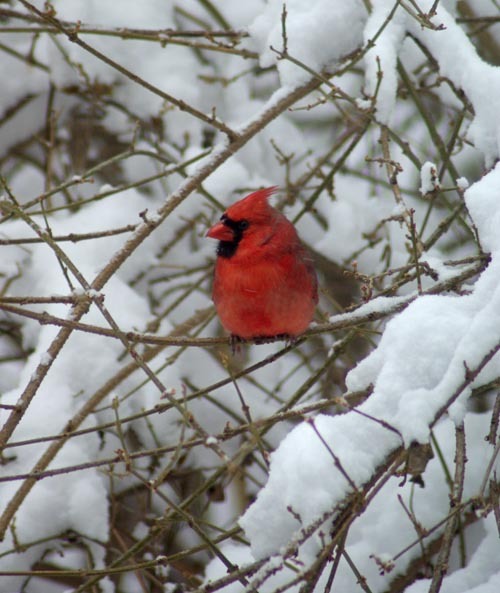 And here Mr. Cardinal provides that bright flash of color on a snowy day, his red feathers evenly lit by reflection from the snow. And what is this–melting ice cream on a sundae?! 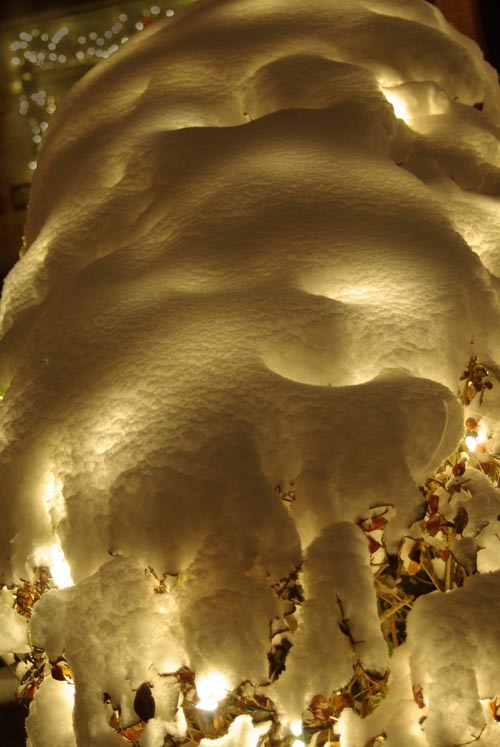 No it’s my neighbor’s hedges covered with snow, the lights beneath providing a dramatic lighting effect.